My husband Kegan recently expressed interest in trying out the Paleo diet. He wants to try it for 30 days to see how he feels, we meal prep separately therefore my Keto diet and his Paleo diet won't be an issue. I think the biggest reason people don't stick with a healthy lifestyle is lack of motivation and lack of options. I wanted Kegan to have plenty of variety during those 30 days so we both started our research. 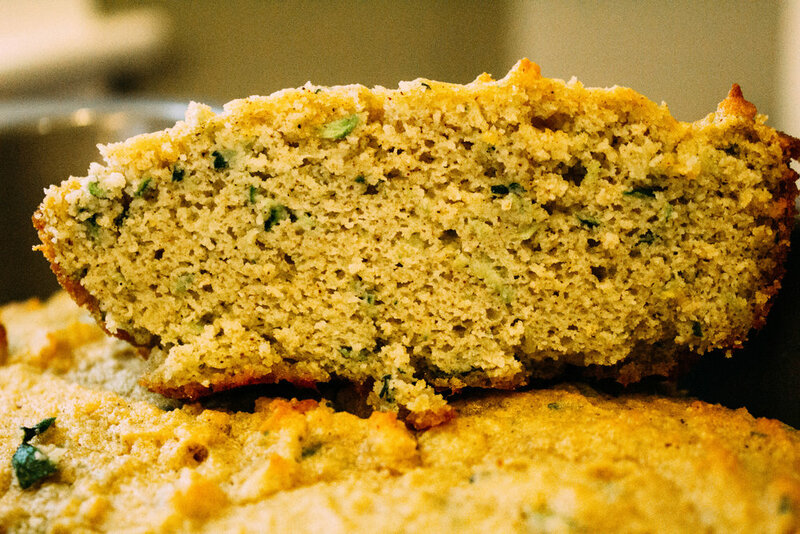 I came across this Paleo Zucchini bread recipe from A Saucy Kitchen and fell in love. Yes! It truly is delicious! Both Kegan and Beckett approve of this delightful and rich bread. One slice of this Zucchini bread contains 176 Calories, 15g of Carbohydrates, 6g of sugar, 4g of Fiber and 5g of protein. Hop on over to A Saucy Kitchen for the recipe! I hope you guys enjoy it! Have you ever tried the Paleo diet? What are some of your favorite recipes! Let me know by commenting on Instagram or Facebook!